The reputation of Theodore Roosevelt has become as bloated as the man himself. No one of course can deny his fundamental significance in American history, as a central player in the transitions from republic to empire, laissez-faire to regulated capitalism, congressional government to imperial presidency. It should come as no surprise that professional historians still pay close attention to his career. What is surprising is the cult-like status that Roosevelt enjoys outside the academy, especially in Washington. In political discourse, his name evokes bipartisan affection, bordering on reverence; few presidents are safer for politicians of either party to cite as an inspiration. (Bill Clinton and George W. Bush both claimed him as a model.) For several decades now, hardly a year has gone by without another PBS documentary or popular biography producing another brick in the ascending tower of tribute. Not bad for a man who, despite his undeniable bravery and public spirit, spent much of his life behaving like a bully, drunk on his own self-regard. How does one account for the contemporary adulation of this man? The emergence of the T.R. cult coincided with the ascendancy of Ronald Reagan. “America is back!” Reagan announced, reassuring his audiences that the national soul-searching of the Carter years was officially at an end. No more congressional inquiries into CIA crimes and imperial deceit; no more presidential admonitions about the need to recognize environmental limits. Cowboy capitalism and triumphalist nationalism were the order of the day. Rhetoricians of renewed national greatness, groping for historical antecedents, seized on the example of Theodore Roosevelt. For the Republican right, the appropriation of Roosevelt was a tricky business. Free-market ideologues had to overlook his achievements in domestic policy, where at his best he re-asserted the claims of commonwealth against wealth, protecting wilderness from rapacious developers and disentangling Washington from its thralldom to Wall Street. But T.R.’s foreign policy perfectly suited the right-wing agenda. Driven by myopic imperial ambitions, a visceral longing for violent combat, and an obsessive need for action, he poisoned the diplomatic atmosphere with militaristic bluster throughout his career, from his advocacy of war with Spain in 1898 to his demands for American intervention in World War I and his final, furtive efforts to undermine Woodrow Wilson’s agenda at the Paris Peace Conference. He preferred doing to thinking and fighting to talking—much like the recent Decider-in-Chief. But unlike George W. Bush and other contemporary militarists, T.R. was at least willing to put his own body on the line. No one could accuse him of lacking physical courage. To the end of his life he kept trying to get the government to let him raise another cavalry regiment, to relive his glorious charge up Kettle Hill (known to posterity as San Juan Hill) in the Spanish American War. He was equally eager to get his sons involved in combat during World War I. The youngest, Quentin, was killed in action. While Roosevelt had many faults, cowardice and hypocrisy were not among them. Yet when it came to the realities of modern war, Roosevelt was not much more than a swaggering sentimentalist. This becomes clear when one contrasts Roosevelt’s admiration for General George Armstrong Custer with Ulysses S. Grant’s indifference toward him. Grant took no formal notice of the disastrous battle at the Little Big Horn, which he viewed as a tactical blunder of no strategic significance. To the veteran of Cold Harbor and the Wilderness campaign, the massacre of Custer’s 266 men was hardly worth notice: what stood out was their ambitious commander’s unnecessary risk-taking. But Roosevelt, according to Custer’s widow, Elizabeth, celebrated Custer as “a shining light to all the youth of America”—a man who would plunge forward even against overwhelming odds. The difference between Grant’s perspective and Roosevelt’s was the difference between the professional soldier and the amateur moralist. Custer embodied Roosevelt’s ideal of heroic struggle. “Far better it is to dare mighty things,” T.R. said, “... than to take rank with those poor spirits who neither enjoy much nor suffer much, because they live in the gray twilight that knows neither victory nor defeat.” From this view, doing something—even something foolish and destructive—was always better than doing nothing. Especially something military. Roosevelt’s militarism intertwined with his activism. As Henry Adams perceptively observed from across Lafayette Square, T.R. was “pure act.” His unthinking, frenetic energy lay at the core of his appeal in his own time as well as in ours. During the era of Theodore Roosevelt, many privileged Americans—especially men—were beset by fears that they had settled into a subtle, soul-destroying softness: addiction to comfort had atrophied their physical courage, and liberal tolerance had undermined their moral courage. They embraced Roosevelt’s “Strenuous Life” as a revitalizing release from paralyzing self-consciousness. Latter-day Americans, still distrustful of excessive intellect, still find strenuosity appealing as a political and personal style. And few presidential decisions elicit more popular approval (at least at first) than quick, decisive military ones. Most presidents have to make them, or convince themselves that they do. But no other president ever felt about war the way T.R. did. Rather than viewing it as a grim necessity, he embraced it as a source of personal regeneration. Combat was the best way, the manliest way, to “dare mighty things” and “escape the gray twilight that knows neither victory nor defeat.” The idea of regenerative war was not Roosevelt’s alone: it spread on both sides of the Atlantic during the years before the Great War, and it resurfaced in fascist circles during the 1920s and 1930s. There were times, especially during his unhinged final decade, when T.R. could sound like a proto-fascist. But it is impossible to imagine him chumming it up with the likes of D’Annunzio and Mussolini. Roosevelt was both a patrician paternalist and a genuine democrat. His egalitarian sentiments allowed his homegrown militarism to be tarted up as preparedness, made to seem a simple component of patriotism. What really softened T.R.’s swagger—and ensured his popularity—was his boyish exuberance. “You must always remember,” the British diplomat Cecil Spring-Rice told a colleague with bemused affection, “that the president is about six.” Woodrow Wilson, after meeting T.R. for the first time, concluded that “he is a great big boy. There is a sweetness about him that is very compelling. You can’t resist the man.” But Wilson would soon discover, as he wrestled with the alternatives of neutrality and engagement during World War I, that Roosevelt’s sweetness could turn into vitriolic rage. This was boyish, too. Roosevelt’s reputation for boyishness arose from many sources—his naïve charm, to be sure, but also his ceaseless action, his snap decisions, his adolescent bellicosity, his refusal to consider intellectual or ethical complexity, his confusion of physical with moral courage, and his exaggerated amour propre when confronted by actual or imagined insults. One might think that an inability to sustain mature reflection would be regarded as a major defect in a chief executive, but Roosevelt’s admirers have never found it so. On the contrary: to those in need of rejuvenation, few qualities are more appealing than immaturity. This goes nicely with the tendency, in T.R.’s time and in our own, to assume that the United States is also a “great big boy,” an innocent abroad in the corrupt old world of empires and realpolitik, an idealist who doesn’t know his own strength but is prepared to use it on behalf of threatened women and children. Roosevelt was the first imperial president, for good or ill—mostly ill. He pioneered the manipulation of the press to advance his ends, either by covert bullying (he once tried to twist a libel statute to justify jailing a critical publisher) or by staging press conferences and other media events. These became opportunities for him to deploy a rhetoric of “righteousness” (one of his favorite words, along with “character”). The resort to vague moralism became a key move in justifying subsequent military adventures abroad. It elevated material interests to the plane of conventional morality. No wonder T.R. became the poster boy for presidential power in the Age of Reagan. It would be churlish to charge Edmund Morris with creating the T.R. cult, but the hagiographer must bear at least some responsibility for the saint’s canonization. Roosevelt could not have been more fortunate had he searched out a chronicler himself. Morris writes vigorously, he has a keen eye for the telling anecdote and the memorable detail, and (like many of his predecessors) he finds T.R. irresistible. The first volume of Morris’s trilogy, The Rise of Theodore Roosevelt, was published in 1979, in a political atmosphere pervaded by longings for restored national honor and greatness. The hostage crisis in Tehran had become a media obsession, and Carter’s caution seemed to many impatient pundits to epitomize his wimpish indecision, his failure to act with manly boldness. Into this slough of despond burst Morris’s T.R.—a sickly, asthmatic boy turned war hero, an effete scion of privilege who makes his quest for physical vitality into a parable for the moral and political revitalization of an entire class—his own. To those fretting about America’s supposed loss of national will, Roosevelt embodied a stirring reminder of what had been and might be again. Ronald Reagan was waiting in the wings. T.R.’s reputation flourished in the heady days of the Reagan Revolution. In 1981, David McCullough—always a reliable weathervane—published Mornings on Horseback, another adulatory evocation of T.R.’s executive energy. But Reagan himself preferred Morris’s book. In fact he liked it so much that the White House staff eventually invited Morris to become Reagan’s Boswell, offering the biographer unprecedented access to a sitting president. Morris of course could not resist. He put aside the second volume of the T.R. trilogy and began following Reagan about throughout his second term, interviewing him regularly, transcribing his everyday utterances. Unfortunately, Ronald Reagan was no Samuel Johnson: Morris soon began to suspect, he later said, that the Great Communicator was “an airhead.” Rejecting conventional biography, he recast his book as Dutch, a memoir by a fictional contemporary of Reagan’s named “Edmund Morris.” He also included no fewer than nine fake relatives of “Morris,” including two bitter critics of Reagan, a gay man dying of AIDS and a slogan-mouthing student radical. “Morris” retreated to the high ground, rhapsodizing about Reagan’s character—and physique—rather than analyzing his policies. Less than a quarter of the book engaged the Reagan presidency, and did so sketchily; there were no references in the index to any of the Supreme Court justices whom Reagan appointed, but more than a hundred citations of the fictional “Morris” family. One can only imagine the desperation that drove Morris to produce such a muddle. What a relief it must have been for him to return to Theodore Roosevelt. The second volume of the trilogy, Theodore Rex, appeared soon after Dutch. It was a conventional narrative of the Roosevelt presidency, recounting triumph after triumph but supplying no new ideas, information, or insights. Morris included uncritical accounts of T.R.’s taking of the Panama Canal Zone, which involved covert support for the crony capitalists backing a Panamanian revolution against Colombia, and of his “Roosevelt Corollary,” which asserted a blank check for American intervention in the western hemisphere wherever “chronic wrongdoing” occurred. He gave Roosevelt appropriate credit for asserting the public interest over business interests, but failed to acknowledge or even gesture toward the larger political circumstances of the era: Roosevelt and other Republican Progressives were riding a wave of anti-corporate sentiment that had originated among Populists in the South and Midwest, and had been sustained by their heirs in the Democratic Party. Morris ignored this popular ferment. Intoxicated by his protagonist, Morris reduced progressive reform to a one-man show. Similar difficulties afflict the concluding volume of Morris’s trilogy. Like its predecessors, Colonel Roosevelt is lively and engaging and ultimately exasperating in its pious regard for its subject. Morris occasionally acknowledges Roosevelt’s flaws, but in the end he manages to turn them all into virtues: bullying self-righteousness becomes moral clarity, snap decisions denote intuitive brilliance. Dazzled by Roosevelt’s deeply problematic leadership style, Morris loses sight of the surrounding political culture. To understand Roosevelt, a public figure who was both a creature and a creator of his historical milieu, some attention to the larger surround is essential. Without it, T.R.’s late career is reduced to a sad story of decline and fall. Not even Morris can turn this part of T.R.’s life into a tale of triumph. 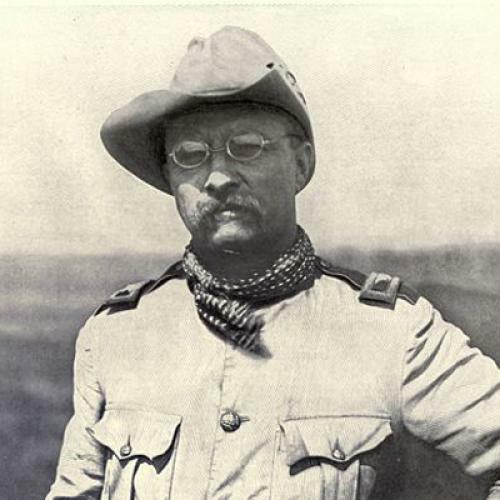 He begins with Roosevelt’s African safari of 1909-1910, then turns to the short-lived effort to form a Progressive Party among dissident Republicans, with T.R. as its standard-bearer in the election of 1912. Following that electoral failure, there is little left to recount of Roosevelt’s life except his descent into physical and emotional disability, punctuated by arid stretches of rant—the tirades against Wilson’s alleged weakness, the free-flowing cant of regenerative war. This was not T.R.’s finest hour. Freed from executive responsibility, he became equally detached from intellectual and moral responsibility. Yet he remained an influential figure in American public life. Morris does not try to explain Roosevelt’s persistent appeal, except by alluding to his personal magnetism. A more illuminating account would have considered the cultural atmosphere that created and sustained Roosevelt’s political career—an atmosphere pervaded by longings for social and personal regeneration. Those longings proliferated on both sides of the Atlantic, but nowhere were they more intense than among the middle-class and upper-class white men who dominated American public life in the early twentieth century, and who constituted Roosevelt’s main constituency. Americans had feared a descent into decadence before—for centuries, Protestant and republican jeremiads had demanded the periodic cleansing of moral corruption and the rebirth of righteous community. But the Roosevelt era spawned a new and secular idiom of rebirth, reifying military heroism and redefining manliness. A rhetoric of regeneration spread on both sides of the Atlantic. Gender anxiety animated this ferment. Morris disdains an interest in “masculinity” as “the latest idée fixe” in the academy, but in fact a focus on gender, like other interpretive perspectives, can be subtle rather than formulaic. To be sure, a beleaguered sense of manhood was only one ingredient in the stew of religious, racial, economic, and other obsessions that gave rise to dreams of rebirth. But without paying attention to peculiarly male preoccupations, there is simply no way to make sense of the Roosevelt era, or of Roosevelt. Masculinity was T.R.’s own idée fixe. His quest to meet his own ideals of manhood was the central concern of his life. From the boxing ring at Harvard to his deathbed at Sagamore Hill, he was obsessed with embodying and encouraging manliness in a world that seemed full of threats to it—not only pacifists and other effete “mollycoddles,” but also a subtler menace: the life of “ignoble ease” that beckoned to the better off, threatening constantly to seduce them from “the strenuous life” of heroic struggle. This message resonated with Roosevelt’s contemporaries. To the extent that Rooseveltian manhood involved public responsibility, T.R. revived an honorable idea that has all but disappeared from our contemporary political life—the notion that wealth entails duties as well as privileges. But Roosevelt’s boyishness also helped to redefine manliness in subtle ways. In the project of revitalization that he inspired, ideals of manhood were narrowed from commitments to family, community, and polity in the nineteenth century to mere physical strength or military prowess in the twentieth. Roosevelt was a pivotal figure in this transition, and his final decade marked the playing out of his transformative role. Morris tries hard to make his story tragic, but in the end T.R.’s decline is little more than pathetic. In the spring of 1909, Theodore Roosevelt was out of public office but not out of the public eye. He still had “his own image to worry about,” as Morris observes. He wanted to be known as “Colonel Roosevelt,” to remind everyone of his war record and his readiness to fight again. The press complied. Still there was the public-relations problem of the African safari itself. The conservation president, Morris notes, could “ill afford to be seen again, as he was in youth, as an indiscriminate killer of big game.” Morris does his best to provide T.R. cover, constantly alluding to his efforts to stay under the limit, to hunt animals only to acquire food or specimens for natural history museums. But he cannot conceal the man’s visceral delight in killing. Marching northwest through “elephant country” toward Lake Albert, T.R. “cannot resist downing another [big bull]—his eighth—and guzzling the ‘excellent soup’ made from its trunk.” Besides those eight elephants, T.R. killed “9 lions ... 6 buffalo, 13 rhino, 7 giraffes, 7 hippos, 2 ostriches, 3 pythons, 1 crocodile, 5 wildebeest, 20 zebras, 177 antelopes of various species, from eland to dik-dik, 6 monkeys, and 32 other animals and birds: 296 ‘items’ in all.” His son Kermit added 216. In Roosevelt’s account of the safari, African Game Trails (1910), he insisted that “we did not kill a tenth, nor a hundredth part of that we might have killed had we been willing.” The numbers were evidence of their restraint, not of their excess. Ultimately Morris collapses Roosevelt’s hunting into his larger quest for vitality, which had violence at its center: “he killed living things because he loved them. He loved them because their deaths infused him with life.” By alluding to blood sacrifice—which could include the sacrifice of men in war as well as animals in hunting—Morris has stumbled onto something important here. It is a disturbing echo of what the cultural historian Richard Slotkin identified as the central theme in the mythology of the American frontier: regeneration through violence. But Morris does not pursue it. Few commentators on T.R. have wanted to explore this dark side of his character. They prefer to stay on the surface of that toothy grin rather than explore its ambiguities—its mingling of ferocity with forced bonhomie. This is partly because Roosevelt was such a master of public relations. He understood the value of a compliant press. On safari he was accompanied by a sycophantic reporter, F. Warrington Dawson of United Press—one of the new newspaper syndicates that had been created in part to cover the doings of the imperial president. Dawson came in handy, acting as the Colonel’s unofficial press secretary. Roosevelt, for all his talk of “righteousness,” was obsessed with maintaining his public image, even if that required twisting the actual facts of the matter. If T.R. ever felt regret or ambivalence about unnecessary animal carnage, it was only for the public embarrassment it might cause. In quest of a bull hippo, he killed a cow by mistake. This misidentification, writes Morris, was “exactly the sort of thing he did not wish broadcast, as some kind of joke.” God forbid that Bwana Mkubwa Sana—“Very Great Master”—should be exposed as just another paunchy, privileged American with a pith helmet and a Holland & Holland rifle. “If only to impress Dawson,” as Morris says, Roosevelt still had to have that big bull hippo. Firing indiscriminately into a lake at what seemed to be a herd of hippos, Roosevelt got his bull, but three cows floated to the surface as well. What could be sillier, or less manly, than killing cows with a high-powered rifle? Sick with shame and fearful of humiliation in the press, T.R. reported the blunder to Dawson, who promptly fixed the problem. The story went out, Morris observes, “as an attack by, rather than on, the herd of hippos.” Roosevelt’s heroic stature survived and flourished, however flimsy its factual foundation. T.R. remained his own best publicist, furiously scribbling African Game Trails by firelight, filling the pages with detailed zoological and botanical observations as well as frequent accounts of his own heroics. Morris, characteristically, is struck by the former president’s lack of “false modesty”: “Being brave, he admits to acts of bravery; swelling with new experiences, he does not hide the breadth of his knowledge.” The biographer’s admiration transforms T.R.’s self-absorption into simple honesty. When the safari ended, Roosevelt headed for Khartoum, where he was greeted by “the elite of Anglo-Sudanese society.” These are Morris’s people: he was born and raised in Kenya and educated at Rhodes University in South Africa. His uncritical identification with the British empire matches Roosevelt’s, and maybe even exceeds it. “In the sunburned, aristocratic faces of his hosts, in their perfect manners and air of unstudied authority,” Morris writes, “Roosevelt recognized the attributes he had always admired in the English ruling class, along with ‘intelligence, ability, and a very lofty sense of duty.’” Morris and Roosevelt share a dewy-eyed view of the masters of empire. Despite the alleged perfection of the imperial elite, Morris observes that the “constant menace of Arab nationalism” lurked on the horizon. The sky’s red tints at sunset reminded T.R. of the blood of General Gordon, killed with all his men by the Mahdi’s dervishes at Khartoum in 1885. Blood was rarely absent from the mind of the hunter. After viewing the plain near Omdurman, where (Morris notes) “Arab bodies had piled up in masses under the fire of Kitchener’s artillery,” Roosevelt reflected that “all men who have any power of joy in battle know what it is like when the wolf rises in the heart.” But he was troubled that the British were forgetting what it was like, losing their imperial will. So Roosevelt came to believe as he headed north to Cairo, where he saw what he felt was a ruling class going to seed. Insisting that all of North Africa should remain under imperial rule, he urged the British (in Morris’s words) “to stand for humanity against barbarism,” and lectured Arab nationalists on the need for patience. Bidding the British adieu, Roosevelt raced on to Europe, where he hummed his dithyramb to war in various venues. In Paris, the French feared an expansive Germany; but T.R. reminded them that while war was horrible, shrinking from it was worse: “a strong and virile people” must be determined to prevail “whatever the cost.” In Berlin he was pleasantly surprised that Kaiser Wilhelm, whom he thought a pompous fool, at least agreed with him in disdaining “the kind of washy movement for international peace” that was attracting prominent supporters on both sides of the Atlantic. In London, Roosevelt lectured the British on their duty to get tough with the Egyptians, especially after the assassination of Britain’s Viceroy Boutros Pasha. “Mr. Roosevelt talked as if the whole Egyptian people had adopted assassination as a political method,” the Manchester Guardian complained. “This is not robust or virile thinking; it is muddled, boyish thinking.” And boyishness, however charming in private life, was dangerous in foreign policy. Still, a transatlantic fascination with youthful vitality pervaded the Roosevelt epoch. The impulse toward rejuvenation arose in part from the pop-evolutionary schemes of progress that depended on biological analogies between societies and organisms. Despite its apparent optimism, the idea of evolutionary progress nourished ambivalence toward individual and national maturity. If maturity marked the full development of a man’s or a nation’s power, it was also childhood’s end. Senescence, sooner or later, would be just around the corner. Roosevelt embraced conventional notions of evolutionary progress and all the analogical baggage that came with them. His alternative to senescence was to remain a boy all his life. He urged Anglo-Saxons on both sides of the Atlantic to emulate his example. He was obsessed with national decline and imperial decline, which he equated. In his Romanes Lecture at Oxford, he cited centrifugal particularism, greed, love of luxury, declining birth rates, and loss of the “fighting edge” as reasons for the fall of empire. The first three were moral developments; the last two were visceral and bodily. T.R.’s obsession with revitalization always ended with an affirmation of breeding and fighting, by the Right Sort, of course. The sine qua non of vitality was war—or at least his archaic fantasy of it. On his return to the United States he told a Republican congressman about (in Morris’s words) “a longing within him that went deeper than politics, deeper than patriotism, to some dark core of desire unsatisfied since his ‘crowded hour’ in Cuba.” It was, said Roosevelt, “to go to war at the head of a brigade of cavalry.” On T.R.’s return from Europe, Senator Elihu Root told him: “you are still the same great, overgrown boy as ever.” Like Custer, he craved a starring role as a chivalric hero. He could not stay away from domestic politics for long. Taft was floundering, failing to follow through on the promise of Roosevelt’s presidency. Many began to fear that progressive reform was dead in the water. T.R. was among them. The code of chivalry that energized his militarism also animated his efforts to rein in plutocracy. As Morris observes, “a strong sense of fairness saved him from complacency,” while he remained “less motivated by compassion than anger at what he saw as the arrogance of capital.” His paternalist perspective allowed him to take his own privilege for granted while he indicted the nouveaux riches for their absence of public spirit. His fundamental achievement was to join other progressives (from both parties) in articulating a larger role for the state in American life—including American business life. Herbert Croly, a co-founder of The New Republic, called it the use of “Hamiltonian means for Jeffersonian ends.” Croly drew many of those Hamiltonian means from a Roosevelt laundry list of January 1908: automatic compensation for job-related accidents, federal scrutiny of corporate boardrooms, regulation of railroad rates, redress for labor against punitive injunctions, strengthening of antitrust legislation. Those were the policy components of the New Nationalism, which T.R. announced in a speech at Osawatomie, Kansas, in August 1910. By then he was reconsidering the antitrust question. The obsession with breaking up monopolies, he decided, was rooted in a nostalgic desire for a restored world of competitive rights, village shopkeepers, and smallholding farmers. It was, he said, “rural toryism.” Regulating big corporations, not breaking them up, was the remedy for bad business behavior. The trick was how to make this pragmatic accommodation appeal to Midwestern farmers who regarded monopolies as minions of Beelzebub. Roosevelt turned it by wrapping his reforms in the messianic rhetoric of Social Christianity. He had been denouncing big business, with occasional eloquence, for years. As Morris says, if the “moral regeneration of the business world” was a progressive slogan, it was shouted “through a megaphone Roosevelt had left behind” on the platform. Morris’s fixation on T.R.’s centrality creates a tunnel vision of progressive reform. In fact populist progressives, many of them Democrats, had been carrying their own megaphones around for years—since the 1890s or earlier. Morris is apparently unaware of their existence. Instead he treats progressive reform as largely a Republican and Rooseveltian creation. “If Democrats had been shameless in cottoning on to the progressive cause, at least their imitation was a sincere form of flattery,” he writes. The most shameless Democrat was Woodrow Wilson. In his run for the presidency in 1912, he embraced the populist progressivism of the Democratic Party, distancing himself from the party’s minority Wall Street wing. Yet he then began “coolly poaching most of the tenets of New Nationalism and adapting them as the New Freedom,” Morris complains. Again Morris overlooks the vitality of the populist progressive tradition outside the Republican Party—a tradition that, apart from antitrust legislation, had been backing the income tax, railroad regulation and other efforts to tame unbridled capitalism well before T.R. announced his challenge to Taft. Try as Morris might, he simply cannot help viewing Wilson through T.R.’s spectacles—and Roosevelt hated Wilson with a passion beyond words. As a result, Morris’s comparisons between the men are risibly unbalanced. (For a thoughtful alternative, see John Milton Cooper’s The Warrior and the Priest.) Citing Wilson’s campaign platform for governor of New Jersey in 1910—corporate regulation, railroad taxation, humane labor policies, and primary reform—Morris says it was an agenda that “the Colonel himself could have written.” Wilson’s every move was characterized, says Morris, by “cool opportunism.” According to Morris, Wilson’s response to the movement for international arbitration reveals “a prose stylist adept at making graceful generalities, while avoiding any personal commitment.” Wilson was “so calm and complete” that he drives Morris—as he drove T.R.—crazy. Roosevelt, meanwhile, was anything but calm. At the Republican Convention in Chicago, he stood at Armageddon and battled for the Lord, but lost to Taft and the Old Guard. Always a talented phrasemaker, he declared himself fit as a bull moose, and easily won the Progressive Party nomination a few weeks later. The delegates were awash in religious fervor, and T.R.’s acceptance speech did not disappoint them. Its finest moment was when he pledged help for the “crushable elements” at the base of American society. The platform backed the income tax, social insurance, and health care for the poor. But the antitrust plank was dropped after Roosevelt consulted with George Perkins, a J.P. Morgan man and an advocate of regulation. Only sentimental “moonbeamers” clung to antitrust, they assumed. The campaign of 1912 featured the most engaged and wide-ranging debate about money power this country has ever seen. The Democrats emphasized antitrust; the Progressives, regulation. But everyone, even Taft, was against “special privilege” for big business. On the left, the socialist Eugene V. Debs was also running strong. (This was when socialism was as American as cherry pie, and strongest in places like Terre Haute, Indiana, Debs’s hometown.) Wilson was urbane, polished, and intellectual—a little on the chilly side when it came to barbecues and beer parties. Roosevelt was manic, stuffing himself with heavily salted beef and Idaho potatoes. Rumors of his boozing persisted as he flailed about, shouting and waving his arms till his high voice squeaked into hoarseness. In Milwaukee, in late October, he was shot in the chest by an apolitical “lone gunman”—but he insisted on giving his scheduled speech, bleeding for forty-five minutes while he harangued the crowd, finally being led off to a hospital. The performance was a characteristic combination of physical courage and foolhardy theatrics. He lost badly, anyway. Wilson won the biggest victory in American politics up to that time, carrying forty states while Roosevelt took six and Taft took two. It was a stunning victory for progressive ideas, if not the Progressive Party. T.R. slunk off to Sagamore Hill, troubled, Morris says, by the “half-guilty conviction that he should do what he could, over the next two years, to keep progressive principles alive.” He need not have worried. Wilson was implementing them in a flurry of legislation more impressive than T.R. ever accomplished—not that it was, in the end, any more ideologically consistent. Statutory prohibitions and discretionary regulations, Wilson’s New Freedom and Roosevelt’s New Nationalism, merged in the tangled thickets of legislative give and take. Morris’s exclusive focus on Rooseveltian heroics obscures the larger complexities of progressive reform. He reveals his blind spot when he refers to “the hopelessly reactionary south.” The South was indeed hopelessly reactionary with respect to race: white elites had established the Jim Crow regime after several postwar decades of contested racial politics. But when it came to economic justice, the South could be incandescently radical, provided the issue of racial justice was off the table. Morris overlooks the tragic paradox of progressive politics in twentieth-century America, from the New Freedom through the New Deal to the Great Society: the need to placate the Jim Crow South in order to secure support for key legislation. He does not seem to know that the Democratic Party had taken a left turn in 1896 under William Jennings Bryan’s leadership, and except for the election of 1904 (when it sacrificed the colorless appeals judge Alton B. Parker on the altar of the T.R. cult) maintained that course through 1912. The dominance of the agrarian periphery over the industrial Northeast, the continued suspicion of Wall Street: these were the crucial populist impulses behind the progressive movement. Roosevelt was an important promoter of progressivism, but he was hardly its progenitor. Morris exaggerates Roosevelt’s originality in culture as well as in politics. He calls African Game Trails “a kind of savage romance new to American readers,” when in fact they had been reading “savage romances” since the 1890s—tales of strife and struggle, starring muscular Anglo-Saxons, set in primitive locales (especially the North American West), with a supporting cast of dark-skinned natives. This racially charged literature of male revitalization had been flourishing for decades. Everyone from Richard Harding Davis to Zane Grey and Jack London had cashed in on the vogue of vicarious violence. T.R.’s literary success, like his political success, depended on the resonance between his own obsessions and the deepest yearnings of his audience. The clearest expression of Roosevelt’s compatibility with the zeitgeist was his belief in the regenerative powers of military combat. This was a common faith on both sides of the Atlantic, until the Great War made it seem obscene. Even the pacifist and anti-imperialist William James sought a “moral equivalent of war” to capture its allegedly tonic effects. Among turn-of-the-century militarists, Roosevelt’s only distinction was that he actually wanted to fight, rather than merely fantasize about it. Yet in exalting the “terrible beauty” of war, Morris writes, “Roosevelt often came near the sentimentality he despised among pacifists—so much so that some of his most affectionate friends felt their gorges rise when he romanticized death in battle.” This is Morris’s only serious attempt to distance himself from his hero’s fetishism of violence. More commonly Morris views Roosevelt as a “realist” who understood that only power matters in geopolitics, and only military preparedness prevents war—in contrast to the “sentimentalists” who yearned to create a global structure of peace through arbitration treaties. Where Wilson fit into this picture was unclear, but Roosevelt did not trust him, and neither does Morris. Wilson was nowhere near the Rooseveltian model of manliness. He was a former girls’ school teacher (Morris mentions this twice) who had avoided the Spanish American War and signed a peace manifesto in The Christian Herald—how could such a man be “a strong commander in chief”? Once in office, Wilson revealed that the schoolmaster could embark on imperial adventures in Latin America, just as the schoolboy had done. He and Bryan, his secretary of state, made a series of muddled moves in Latin America, trying to combine idealism and imperialism. The problem, from T.R.’s view, was that Wilson was “a timid man physically” (as he wrote to Spring-Rice) and therefore could never commit himself to war with the enthusiasm that it required. At bottom he wanted to be a man of peace, and this, for T.R., would never do. That became clear when war broke out in Europe in the summer of 1914. Roosevelt was beside himself with excitement. He danced about the Sagamore Hill library, squeaking, “You’ve got to get in! You’ve got to get in!” to the British humanitarian Charles Booth. Both men recognized, Morris writes, that if Britain entered the war “America might be forced to ‘get in,’ too.” This reference to being “forced” suggests an unexamined assumption of inevitability, one that characterizes Morris’s entire account of the run-up to American entry into the war. The arguments for non-intervention were powerful and popular, though Morris never mentions them. La Follette and other antiwar progressives correctly perceived the war as a struggle over imperial spoils. Neither side had any political claim, still less a moral one, on the United States. Nor would any American interests be served by our involvement. This argument grew stronger as the piles of corpses mounted, and each side became more committed to the mad logic of total victory. Yet total victory by either side would upset the balance of power in Europe, leaving resentments that could lead to renewed conflict. The longer the war wore on, the weaker was the argument for America’s entry. One did not have to be a pacifist to see this. There was a pragmatic argument for non-intervention that the majority of the American population instinctively understood. Roosevelt’s rage peaked when a German submarine sank the British liner Lusitania in May 1915, with 139 Americans aboard. Like other British passenger ships, the Lusitania had been commissioned a reserve naval cruiser. No one denied that it was carrying arms and ammunition. The Germans had warned civilians against booking passage on a ship that was certain to be sunk. But the sinking provided T.R. and the advocates of war with the provocation for which they had been praying. While Roosevelt railed against piracy, Wilson announced that there were times when a nation was “too proud to fight,” and sent a note of protest. It was, according to Morris, “a masterpiece of deceptive rhetoric, designed to ensure that when all the belligerents had spent their wrath, they would turn to him as their savior.” In fact, the Anglophile Wilson was inching toward alliance with Britain. But not fast enough for Roosevelt, who took the lead of Northeastern elites clamoring for intervention. Still harboring adolescent fantasies, he dreamed of leading a cavalry charge even while the frontal assaults of the British were being mowed down by German machine gunners at the battle of the Somme. Calling for preparedness, he railed against “pacifists and poltroons” who had lost their “fighting edge” (or never had one), against “college sissies” and “hyphenated Americans” who lacked sufficient enthusiasm for blood sacrifice, and above all against the “cold” and “selfish” Wilson, whose “high-sounding words unbacked by deeds” were “proof of a mind that dwells only in the realm of shadow and of shame.” War was the acid test of moral fiber. According to Morris, Wilson and Hughes lacked T.R.’s “ability to see events coming and act accordingly, faster than anyone else on the political scene.” From this view, Roosevelt’s preternatural intuition allowed him to see into the geopolitical future and grasp the inevitable unfolding of events. In fact it was Wilson who showed the greater prescience when he called for a “peace without victory.” A more conventional and vindictive settlement, he warned, would leave “a sting, a resentment, a bitter memory upon which terms of peace would rest, not permanently, but only as upon quicksand.” It was a strikingly premonitory vision of the catastrophe a generation to come. When Wilson finally declared war in April 1917, official Washington roared its approval. The rest of the country was another matter. Morris notes that “war spirit was lacking in many areas of the breadbasket states.” But recent scholarship documents widespread and persistent opposition to the war throughout the Midwest and even the supposedly belligerent South. In eastern Oklahoma, five hundred tenant farmers organized themselves into the Green Corn Rebellion; they meant to march on Washington to protest the war, but were surrounded and arrested by a sheriff’s posse. Thousands of young men simply refused to register for the draft. And fifteen hundred persons were jailed as traitors under the Espionage and Sedition Acts, which made blind obedience the law of the land. Clearly many Americans were not persuaded that they should die in a distant foreign war. Roosevelt wasted no time in renewing his plea for a cavalry regiment. Secretary of War Newton D. Baker simply could not take the Colonel seriously. Like Wilson, he was under no illusions about the romance of modern war; and besides, he said privately, he did not want “a repetition of the San Juan Hill affair, with the commander rushing his men into a situation from which only luck extricated them.” Sidelined from the struggle, Roosevelt was reduced to denouncing La Follette and other pacifists as “old women of both sexes.” As the Armistice neared, he renewed his assault on Wilson, declaring that “peace without victory” appealed to “every sinister pro-German and every vapid and fatuous doctrinaire sentimentalist throughout the world.” He did what he could to undermine Wilson’s diplomacy, writing privately to Balfour, Clemenceau, and Lloyd George that the Democratic Party defeat in the midterm elections in 1918 showed Wilson’s weakness, which would allow them to resist his agenda and impose a punitive settlement. By this time the Colonel’s strenuous life was catching up to him. He was listless and feverish and in constant pain, his body tormented by inflammatory rheumatism as well as recurrent malaria and other mysterious ailments picked up in tropical climes. “I shall get better,” he vowed. “I cannot go without having done something to that old gray skunk in the White House.” Even as his body failed, his anger flourished. At death’s door, he continued to dictate polemics against Wilson’s plan for a League of Nations. Finally, on January 6, 1919, he died in his bed, still licking his self-inflicted wounds, still trying to settle old scores. The problem was that magnanimity required a kind of manhood that Roosevelt the boy did not possess. A part of his character remained attached to older traditions of masculine honor, to a paternalist sense of noblesse oblige: this was the part that lay behind his challenges to irresponsible capital, his elevation of public good over private gain. But there was another, deeper part that relished physical struggle—and above all violence—for its own sake. This was what kept him from being more than “a great big boy,” and often little more than a schoolyard bully. It was also what kept him, in the end, from becoming a truly tragic figure. Tragedy is for grown-ups. Jackson Lears is editor of Raritan and the author, most recently, of Rebirth of a Nation: The Making of Modern America, 1877-1920 (Harper). This article originally ran in the April 28, 2011, issue of the magazine.